So much yarn, so little time. : I've won AGAIN!!! I love those Etsy promotions! 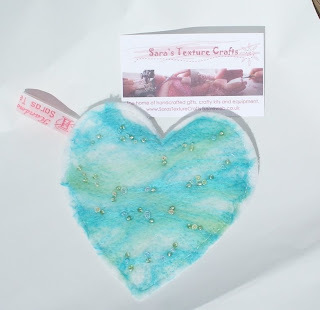 The postman brought me a package this morning from Sara at Sara'sTextureCrafts. I'd won first prize in her blog competition! Oh and if you don't catch the earrings before they go... send me an Alchemy request and I will make you some more!